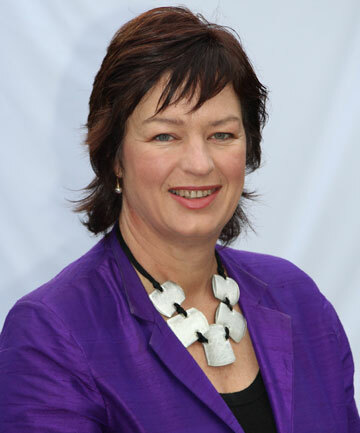 MP wants parental leave extended Waikato Times Tomorrow is the 119th anniversary since Kiwi women won the right to vote, but one law that should be helping women is lagging rather than trail-blazing, according to Hamilton-based Labour MP Sue Moroney. Ms Moroney, Labour’s women’s affairs and early childhood education spokesperson, is advocating to get paid parental leave extended from 14 weeks to 26 weeks. She said paid parental leave was ”exactly the type of issue that Kate Shephard would want women in parliament to champion” as it would encourage healthy bonds between parents and their children, and would support breastfeeding until six months. Poll claims public in favour of cap on foreign students Times Higher Education Some 70 per cent of around 2,900 adults questioned said there should be a cap on overseas students, while 22 per cent said there should not. Before answering the question, respondents were told that 250,000 non-EU students arrive in Britain to study each year, with around a fifth staying on legally after completing their course. Support for such a cap was strong across the political spectrum, according to respondents’ intention to vote, with 70 per cent of Conservative, 66 per cent of Labour and 57 per cent of Liberal Democrat voters in favour of a limit. The strongest support was in Scotland, at 76 per cent, while the lowest was in London at 62 per cent. Women were more likely than men to favour a limit, with 74 and 67 per cent respectively calling for a cap. See also: Less migration or more selective migration? bsa-29.natcen.ac.uk Robert Ford Gareth Morrell Anthony Heath Given the strength of public feeling about migration, it is no surprise that the Coalition has prioritised reduction and control. But a focus solely on aggregate attitudes can be misleading – does the public want all forms of migration reduced, or are they more accepting of migrants they perceive as having more to offer? The government emphasises both ideas in its migration policy, pressing for an overall cap on numbers but also pushing for stricter regulation of migrant qualifications through reforms such as tightening the points system and imposing English language criteria. Tedesco Triccas, Vince Farrugia in line for PN MEP seats Times of Malta Malta could finally have its first women MEPs next year thanks to the decisions of Nationalist MEP Simon Busuttil and Labour MEP Edward Scicluna to enter the local fray. In the very likely event that Dr Busuttil gets a seat in Malta’s Parliament, Roberta Metsola Tedesco Tricca is next in line and stands most to gain from a casual election. Meanwhile, business-lobbyist Vince Farrugia is tipped to replace PN’s other MEP, David Casa, who was yesterday also confirmed, together with Dr Busuttil, as a PN general election candidate. New push for more women in public life Belfast Telegraph Bodies set up under the Good Friday Agreement are being urged to ensure equal representation for women. This may include formal quotas and targets in candidate selection by political parties, as well as in public appointments. Hanna’s House, a women’s advocacy group, will visit Stormont today to highlight the low representation of women in public bodies like the Assembly and the new Maze-Long Kesh Development Corporation, where only one of the 10 board members is female. one of the best in its niche. Amazing blog! Thanks for your comments and support. Thanks also for your suggestions. I do occasionally include videos when they are relevant (see http://wp.me/pcXu2-16o as an example). Perhaps it is down to my lack of technical skills, but I only seem to be able to embed YouTube videos. Clips from other news outlets that are embedded in their own sights seem beyond my talents. I will try to continue to improve my WordPress skill sets to allow such videos to play from right within the blog. Perhaps it will be one of my New Year’s resolutions 🙂 Thanks again for taking the time to write and for your very kind comments. most certainly will send this information to him. Pretty sure he will have a very good read.